Preservation New Jersey and the New Jersey Jazz Society are pleased to welcome the Alex Laurenzi Quartet for their first performance at the 1867 Sanctuary for their show, Reflections: Music from My Time in Europe. Saxophonist and composer Alex Laurenzi returns home after two months of traveling in Europe to present new original music. Spending a month in northern Italy and then a second month split between Copenhagen, Amsterdam, and Paris, Laurenzi has been composing in response to his experiences in each new setting. While his music education and background are primarily rooted in straight-ahead and modern jazz, his recent interest in modern classical and folk idioms bring a new flavor to his performance. For both those who have known Alex for many years and those who have not, his debut at 1867 Sanctuary is not one to miss. 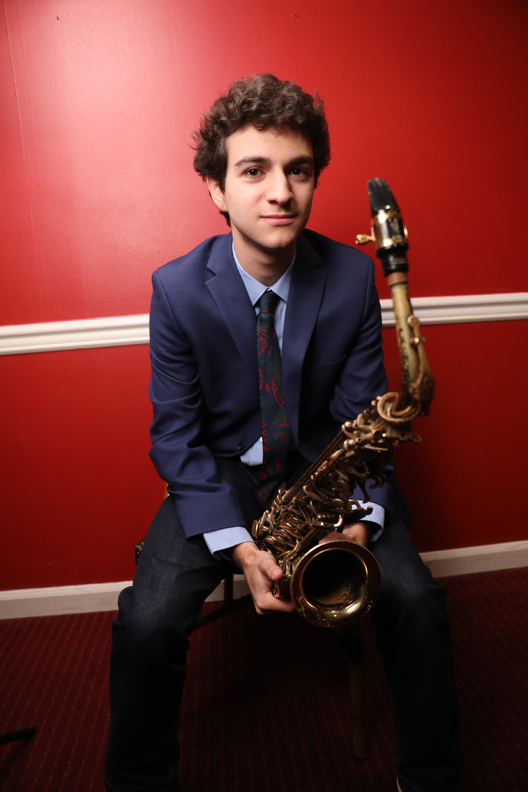 Alex Laurenzi is a saxophonist and composer from Mountain Lakes, NJ. He grew up listening to classical and pop music played and sung in his house, but after beginning alto saxophone at the age of 9, he quickly found his way to jazz. 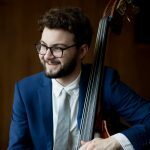 A current student at Princeton University, he has performed with major artists, including Christian McBride, Wynton Marsalis, Gerald Clayton, Joe Lovano, Andra Day, and many more. Leading his own groups since he was 14, Alex is focused currently on composing and performing original music. He sees his compositions as observations and reflections of both the musical and non-musical worlds around him. Incorporating his love for jazz, pop, rhythm and blues, and classical music into his compositions and improvisation, he strives to present honest music that emotionally connects with his audience. Joseph Block is a pianist and composer from Philadelphia, PA. He is the co-founder and leader of the Philadelphia Ambassadors Big Band, a large ensemble that consists of some of the most talented young musicians in the Philadelphia area. An award-winning soloist and active leader on the Philadelphia scene, he is currently a student at the Juilliard School and Columbia University, where he studies with Frank Kimbrough. With similar approaches to the art of composition, Alex and Joseph have developed great chemistry on the bandstand. Nathan Pence is a bassist from St. Louis, MO. A tremendous talent, he met Alex in the summer of 2014 at the Brubeck Institute Summer Jazz Colony in Lake Tahoe, NV, and the two immediately bonded. A current student at Temple University in Philadelphia, he has played with major artists, including Terell Stafford, Bobby Watson, Willie Akins, Victor Goines, and many more, and is one of the most in-demand bass players in the Philadelphia area. 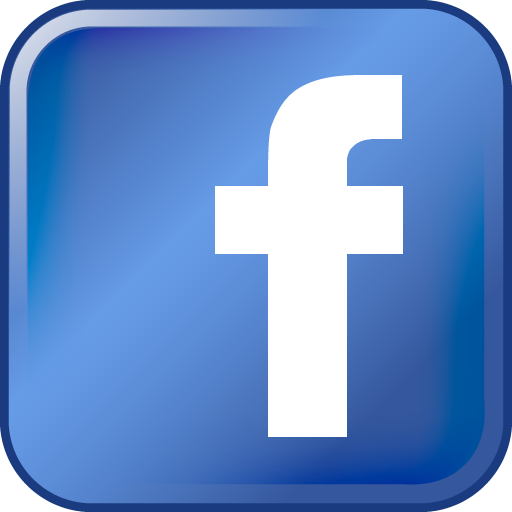 Matt Kane is a drummer, composer, and educator from Hannibal, Missouri. After establishing himself in Kansas City as one of the great drummers in town, he moved to the New York/New Jersey area, where he has built a name for himself as an in-demand sideman. A talented bandleader in his own right, Matt has many albums under his own name. After meeting Alex in the summer of 2016, the two have played dozens of shows together, and Matt’s level of professionalism and the quality of his musicianship never cease to amaze.